Hakopita (Hakone Perfect Guide) is a comprehensive website for those who plan to visit or stay at Hakone. and other attractions. Hakone Onsen is a must-visit place when you visit Japan. 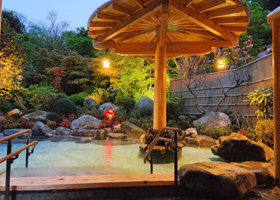 Only about one hour from Tokyo, Hakone is a recommendable onsen spa resort for tourists who visit Tokyo. 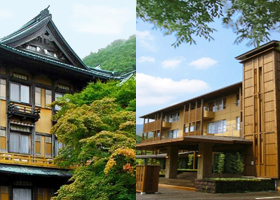 You can choose from more than one hundred Japanese-style inns and hotels when staying at Hakone. 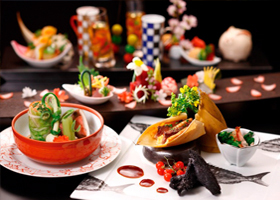 Enjoy gorgeous Japanese cuisine as well as a variety of food. Onsen is a favorite destination for Japanese people. It is great to bathe looking at the nature of Hakone. 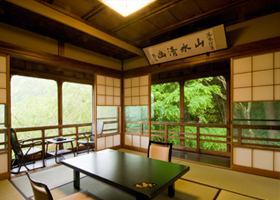 Japanese-style guest rooms with tatami, a mat unique to Japan, relax visitors though Western-style rooms are also available. 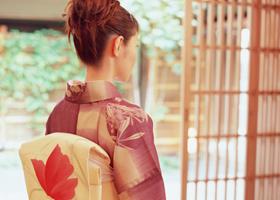 Experience the spirit of Japanese hospitality at a Japanese-style inn or hotel. Hakone is a popular nature resort featuring a lake, hot springs and other natural attractions. Historical buildings such as shrines and old barrier station have been left in natural surroundings. Hakone is a typical Japanese resort where you can enjoy different landscapes depending on the season. A lot of Japanese visit Hakone to appreciate spring flowers like cherry blossoms or azaleas and colorful autumn leaves. Hakone offers many types of transportation including trains, buses, taxis, tour boats and ropeway. Enjoy natural scenery while moving to the next destination. There is even a rickshaw service, which is very rare in Japan. There is an outlet mall nearby, where you can buy gifts to carry home. Check out original Hakone goods and a traditional art craft "mosaic" as well. Best Selection of Hotels at Hakone "Hakopita"